Kita, red-headed, rebellious, longs to be free of the claustrophobic shepherd society which is her background. 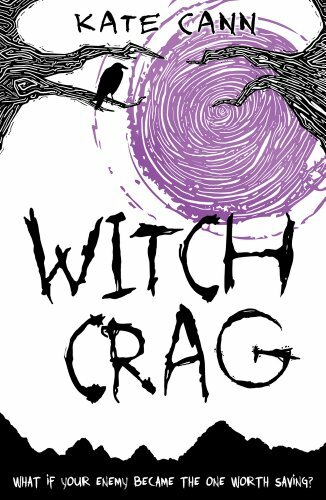 She dreams of joining the witches who live on Witch Crag and with whom she feels affinity. She escapes with her two best friends - only to find herself facing an even greater challenge to ensure the survival not just of the witch clan but also of all the other clans in the area. Set in a post-apocalyptic future where society has fragmented into small tribal groups each with their own culture, this novel offers nothing new in terms of plot or ideas. Through Kita, the reader is presented with the usual questions over gender, authority, social structures and relationships. Indeed the setting is almost arbitrary and could have been historical or even present day, though by looking to a future the author is able to introduce the nightmare of technology. There is little subtlety in Cann's presentation, and her characters in both attitude and speech would not be out of place in the contemporary teenage novels for which this author is known. However, this is unlikely to bother her teen readers who will be untroubled by the stereotypes and will enjoy both Kita's quest and her romance with the gorgeous Arc. For those interested in post-apocalyptic settings, to be recommended are the novels by John Christopher, Monica Hughes, Anne Hallam and most recently, Patrick Ness and Moira Young.